This article was originally published on January 19, 2015 on the American observance of Martin Luther King Day, by Haaretz. The full article can be found on their website here. 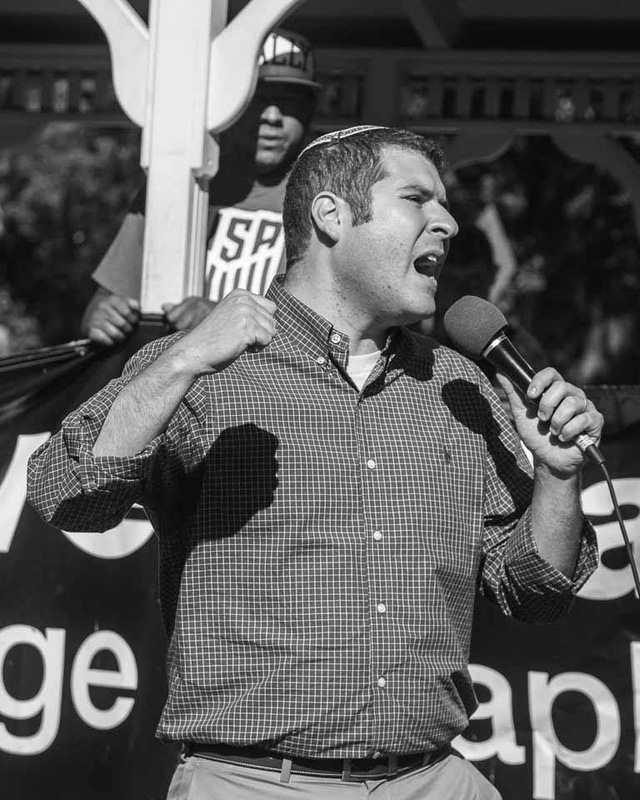 Why the Jewish community must be reawakened to praying with our feet, and recommit to participating in the ongoing struggle for civil rights. Martin Luther King Day recognizes the life, legacy, and work of the fallen leader of the civil rights movement, but it is hardly a celebration. In 1994, President Clinton signed federal legislation into law, turning this day into a National Martin Luther King Day of Service. This initiative invites Americans to get inspired by the ideals, ethics and values that Dr. King embodied and volunteer their time to help others, making this world just a little bit better. However, we are selling King’s legacy short if we settle for a once-a-year volunteer opportunity or a community service project as a way to honor him. King was not just about helping those in need. He was about creating lasting change, inspiring legislative reform, through peaceful protest and non-violent action. Such action is highlighted in the film “Selma,” which tells the story of King leading a peaceful march for voting rights from Selma, Alabama, to the statehouse in Montgomery. Hanging on the wall in my office is a picture of Rabbi Abraham Joshua Heschel, marching arm-in-arm with King during that march. Heschel reflected about his experience that day with a now well-known phrase: “I felt my feet were praying.” I look at this picture every day as I sit at my desk. It is a reminder of the Jewish imperative to work toward justice. But it also serves as a reminder that we all too often become complacent. 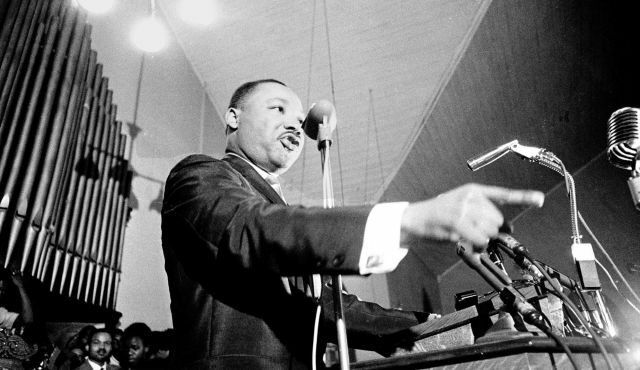 King famously said that “the ultimate measure of a man is not where he stands in moments of comfort and convenience, but where he stands at time of challenge and controversy.” The deaths of two unarmed black men, Michael Brown in Ferguson and Eric Garner in Staten Island, at the hands of white police officers, and the subsequent grand jury decisions not to indict these officers, serve as chilling reminders that systemic racism is still a scary reality. Those of us who live a life of privilege can’t take our advantages for granted or allow them to lull us into complacency. We need to get off of our metaphorical butts. We cannot ignore the injustice that our brothers and sisters deal with every day. We need to draw inspiration from King, and Heschel, and learn again to pray with our feet. Rabbi Hillel taught in Pirkei Avot 2:6 that in a place where there are no good and righteous people, we must strive to be those righteous individuals. All the more so, when so many others are silent and apathetic, we must strive to be righteous and act toward justice. We are commanded in Deuteronomy 16:20, “Justice, justice, you shall pursue.” The Torah acknowledges that while justice is an ideal, it does not come easily. We are not commanded to sit around and wait for justice to happen. We are not commanded to talk about justice and expect society will be different. We are commanded to pursue justice, to chase after it. Let us not settle for a day of remembrance. Let us not settle for a day of community service. Let our observance of Martin Luther King Day be a day filled with dialogue, spirited debate and ultimately, action. Let King’s peaceful protests remind us that we have the ability to bring about change. Let King’s words be a call to action, decades after he said them. As Jews, let us not stand idly by. As we celebrate the life King, may we also remember to live the principles of the Torah, and not just study them. In doing so, may we stand alongside those who suffer injustices because of race, ethnicity, religion, gender, or sexual orientation. Let us pursue justice by praying with our feet.